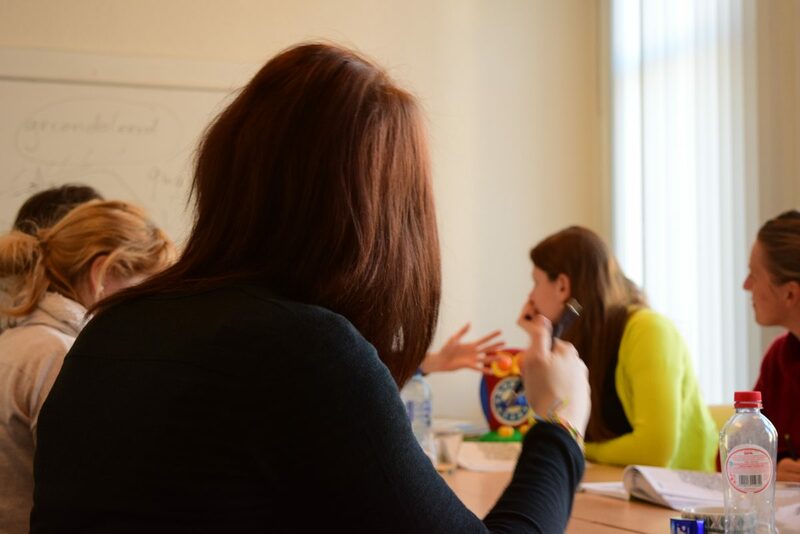 7 tips for learning Dutch gained from 30 years of teaching Dutch – Welcome to the Direct Dutch institute, The Hague. 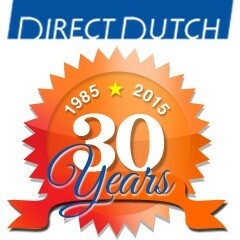 Last year Direct Dutch Institute celebrated its 30th anniversary. Founder and director Ruud Hisgen looks back at three decades of teaching Dutch, and shares some useful lessons it has provided. There is a lot of discussion about learning Dutch, and about how difficult or slow it is. But after 30 years of teaching Dutch, I feel that there are many different ways to connect with and grasp the language. When my partner and I started our language school in 1984, we did not offer a broad menu of languages. Instead we focused on one language, Dutch, and stuck to it. It’s the same when you are learning a language: don’t try to do too many things at once. Instead, just take it one step at a time, follow the structure of your language course and grow your knowledge gradually. Understand that learning Dutch will take time, so don’t be disappointed if you don’t see a lot of progress in the beginning. Language learning is a marathon, not a sprint, which requires diligence, focus and determination. Save some of your energy and attention for the long term. Dutch and English have the same Germanic ancestors. Understanding their close kinship is extremely helpful to a speedy mastery of the language. Once an English-speaking student is accustomed to Dutch pronunciation, he or she will notice thousands of common words that look familiar, and that both grammars are also quite similar. Instead of focusing on its differences with English, look for the similarities when learning Dutch. There are plenty! Finding such hints and clues will help you learn faster. A language is best taught, and learnt, in small groups. The more students in a group, the less conversation time available for each person. That’s why language learning often works best in a group of eight or less. On the other hand, “less is more” does not apply to the learning process itself. The more you practise speaking, the more you learn. The more you listen and read, the more vocabulary you learn. Sounds obvious? Yes, but there are many people who are convinced that learning a language can be done in large groups, in some digital form or even in the absence of a teacher. Let them dream on! We know that “vreemde ogen dwingen”, an untranslatable expression meaning it’s the eyes of a teacher which force someone to learn. The aim of learning a language is to communicate. Not after an intensive year of studying. Immediately. From the very start – in the classroom or in the supermarket – you should try to express yourself in Dutch. Good teachers should speak to you in Dutch, right from the beginning, and encourage and support you to have a go, even if you only know the basics. Make no mistake, making yourself understood when you only know a little of the language is difficult. But the effort will quickly pay off. Once communication succeeds, the learning process is on track, and you’ll get better at expressing yourself with each new effort. Many people will tell you that learning Dutch is a waste of time and energy because everybody can communicate in English. A language spoken all over the world by billions. The number of Dutch speakers (living in the Netherlands, Belgium and in several places in South America) may be a mere 28 million. However this number does not say anything about the breadth and depth of the culture and its history. Those who know some Dutch have access to a large treasure house of art, philosophy and literature. Most Dutch culture is not available in translation. Newcomers need to understand Dutch to be able to become a Dutch citizen and to follow the daily goings-on and political developments. Knowledge of the past is an absolute necessity. This awareness has become more and more important to me. Also because history is exciting. Especially to newcomers. The country you live in cannot be understood without a knowledge of its roots. History tells you why the Dutch have a reputation of being frugal, tolerant, fair, just, innovative and, at the same time, why they are crafty, introverted, blunt, austere and even inhospitable. Did you know that Dutchland was a republic before it became a monarchy? And why, and when? Is there a link between the Dutch Act of Independence (1581) and the American one (1776) because they sound so similar? Is the long tradition of masterly painters in the Netherlands just a fluke? Have you noticed that no other country in the world is so chockfull of museums? With a population of 17 million there are over 900 museums! Let these kinds of questions inspire you to use your knowledge of Dutch, however basic, to help you explore Dutch history and culture. “Alles is relatief” (everything is relative) Christiaan Huygens claimed in the 17th century and Albert Einstein echoed this truism in the 20th century. In other words, it’s good to put things into perspective. A lesson filled with laughter proves that there’s plenty of language learning going on. Such a lesson is the best kind of learning experience you can have. When you enjoy yourself, you lose your sense of time, open yourself up to new experiences, lose your fear of making mistakes and warm to the communication process. Looking back at 30+ years of teaching Dutch, working with inspiring teachers, great students and new friends, I am reminded that the journey has all been worthwhile. And although there’s still a lot of learning to be done, there’s fortunately much laughter in store.